The Hall of Fame jockey fractured a vertebrae in his neck in a training accident last summer at Del Mar that left him paralyzed for a short time. Less than six months later, he’s just weeks away from resuming riding. 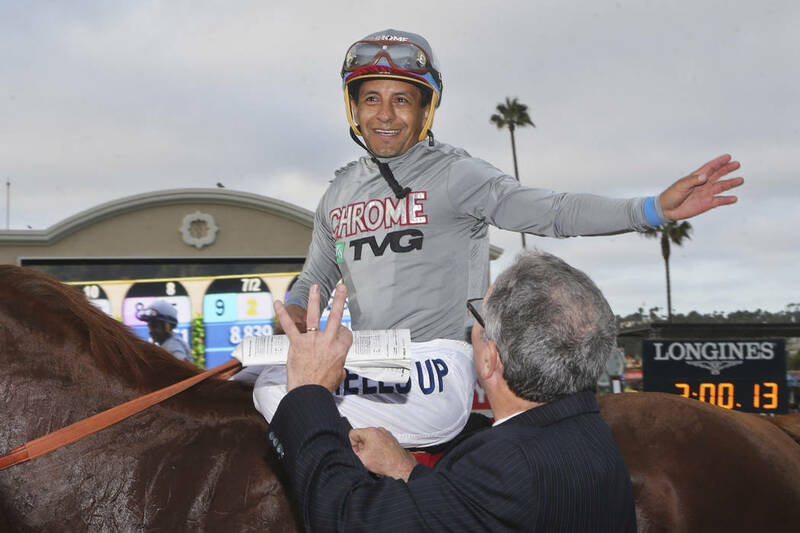 Hall of Fame jockey Victor Espinoza was thinking about retiring when he fractured a vertebrae in his neck in July during a training accident at Del Mar. Now, as the 46-year-old prepares to return from the worst injury of his career, he is more concerned about securing a mount for this year’s Triple Crown campaign. Espinoza, the regular rider of 2015 Triple Crown winner American Pharoah and a three-time Kentucky Derby winner, has led what might look like a charmed racing life. The son of a dairy farmer in rural Mexico became one of the world’s top riders after famously working as a bus driver to put himself through jockey school while also serving as an assistant trainer to his brother, Jose. But his charmed ride came to a crashing halt on July 22 when the Peter Miller-trained colt Bobby Abu Dhabi broke his leg and then his neck during a training run, tossing Espinoza hard to the ground. But as his strength returned, so too did his enthusiasm to return to the saddle. He said this week he has begun exercising horses again and hopes to ride his first race back by the end of the month at Santa Anita. After that, he said, who know how much longer he will compete. The field for the $9 million Pegasus World Cup at Gulfstream Park on Jan. 26 is taking shape, though it’s possible there could be a late change or two. 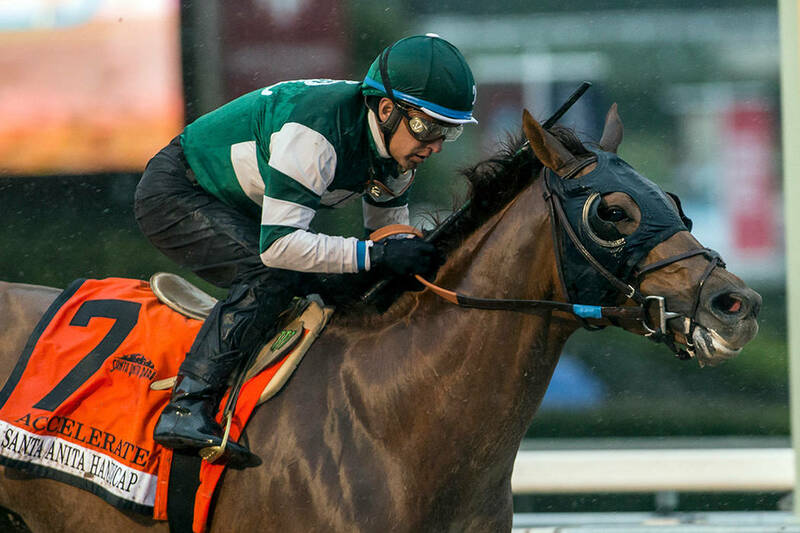 Breeders’ Cup Classic winner and Horse of the Year Accelerate is expected to face 11 competitors in what is to be the final race of his stellar career before he heads to the breeding shed. Others who have secured a spot in the starting gate are Audible, Bravazo, City of Light, Gunnevera, Kukulkan, McKinzie, Patternrecognition, Seeking the Soul, Something Awesome, Tom’s d’Etat and True Timber. A second race has been added to the Pegasus banner this year, the $7 million Pegasus World Cup Turf at 1 3/16ths of a mile, which also looks to be attracting a stellar field. We’ll revisit these races in two week’s time for some in-depth analysis. The #RJhorseracing handicappers are focused this week on a pair of puzzles Saturday at Aqueduct: the seventh race, a salty one-mile test for allowance level runners, and the Say Florida Sandy Stakes, a 7-furlong heat for 4-year-olds and up that were foaled in New York. In the former, the crew is venturing out on a limb and backing Wine Not, 8-1 on the morning line, with Mr. Dougie Fresh (7-2) and House Limit (5-2). #RJhorseracing handicapper Charlie Cronin recommends playing Daily Doubles from this race, connecting Wine Not, House Limit and Stoney Bennett (12-1) to Gold for the King in the eighth race. I’ll go with Mr. Dougie Fresh, who was claimed by top trainer Jason Servis in his last, in the top spot, with Stoney Bennett and Westerdale, both 12-1, filling out the placings. In the Say Florida Sandy, the crowd ‘cappers think the line maker got it right in tabbing Gold for the King as the 6-5 favorite. They like Honor Up (9-2) and Celtic Chaos (5-1) to round out the top three. “Gold for the King returns from open company and looks to impose his class on this group,” Joe Mainardi writes of the group’s choice. No argument from me. Gold for the King looks like a solid favorite. I’ll use Syndergaard (8-1) and Royal Asset (6-1) in the place and show slots.